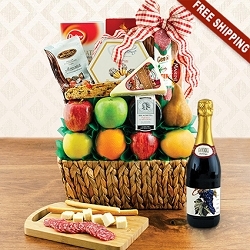 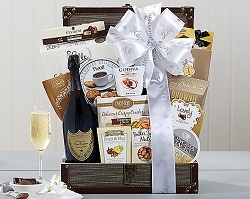 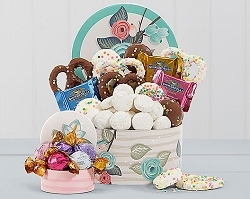 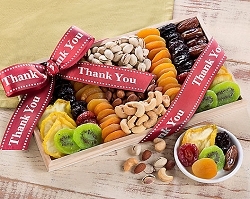 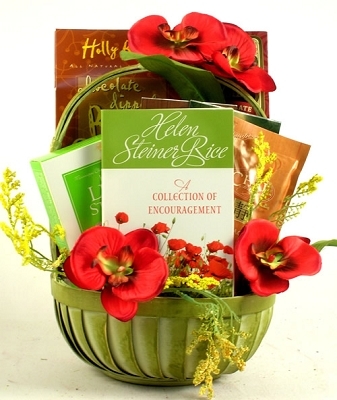 One of our wonderful sympathy gift baskets. 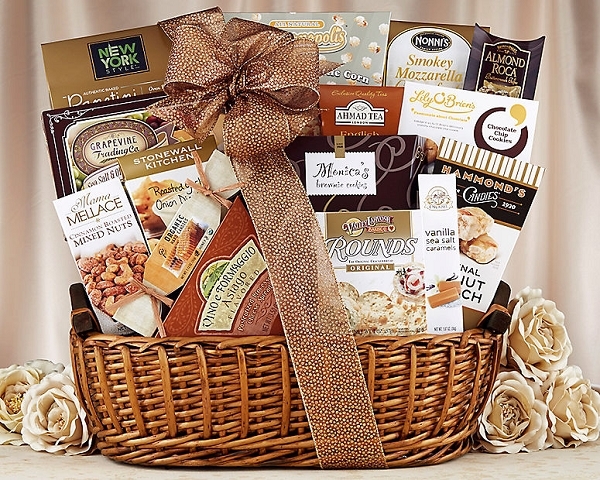 In Loving Memory features upscale gourmet foods such as Mille Lacs Foods Roasted Garlic Flavored Cheese Spread, Three Pepper Blend Water Crackers, Lindt White Chocolate Truffles, Fairy Isabelle White Pocket Tissues, and more. 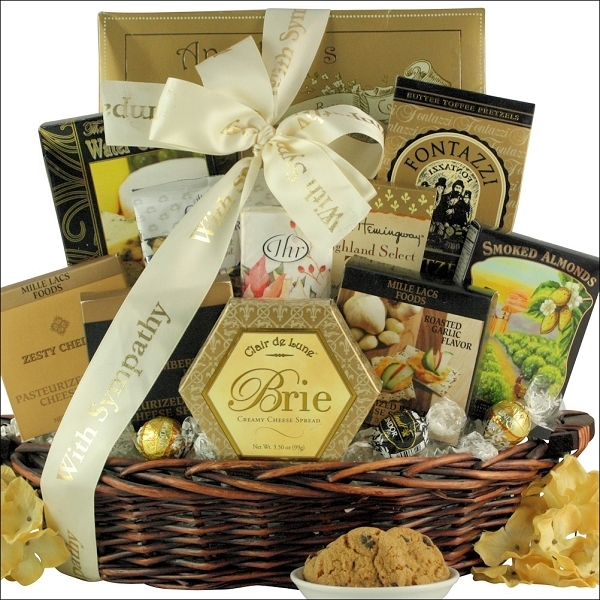 Hand tied with custom imprinted ''With Sympathy'' ribbon and all arranged beautifully in a Dark Stained Gift Basket with Wooden Handles. 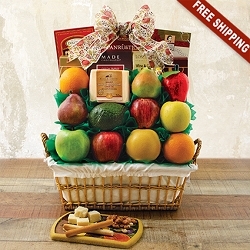 ...in an Oval Dark Stained Basket with Wooden Handles hand-tied with "With Sympathy" ribbon.